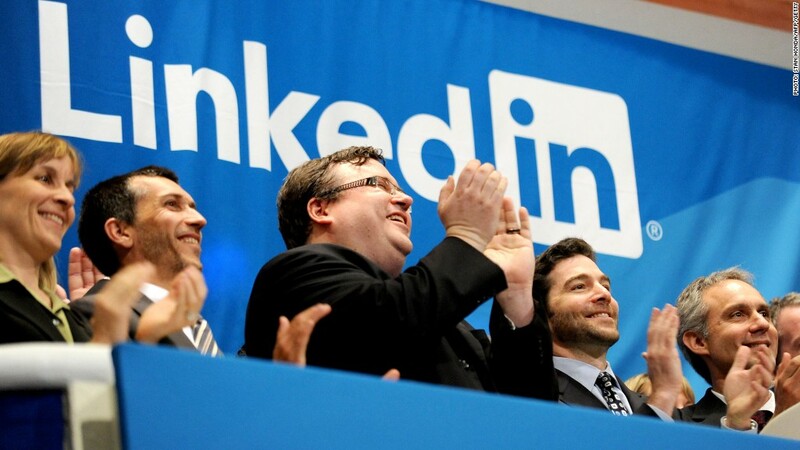 LinkedIn, founded by Reid Hoffman, is the best performing US-listed IPO since 2011. LinkedIn is about to score a billion-dollar windfall, raising speculation about how it will spend all that cash. The company's massive secondary offering of about 5.4 million shares priced at $233 per share late on Wednesday. The sale is expected to raise about $1.2 billion. Proceeds will be used for product development, international expansion and potential acquisitions, the company said in a statement. Investors are most interested in LinkedIn's acquisition options. The company could be considering a big purchase -- or perhaps a series of smaller ones. "To keep up its pace of growth, LinkedIn may need to start looking to the outside," said Scott Sweet, the founder of IPO Boutique. "In tech, especially social media, if you have the money, you're going to acquire." Reid Hoffman, LinkedIn's founder, is an active investor in Internet startups, and one the most connected entrepreneurs in Silicon Valley. So far, growth hasn't been a problem for the networking site for professionals. Since the IPO in May 2011, LinkedIn's stock has risen nearly sixfold, making it the best performing IPO since 2011, according to Dealogic. Just this year, LinkedIn (LNKD) has doubled. The company says it has 238 million registered members using its site, from just 4,500 members when it launched in 2003. Revenue is set to double from 2011 levels. Profits are on pace to triple. Some analysts see the billion-dollar offering as simply a way to take advantage of a hot stock market. "It's not more complicated that looking to raise cash," said Craig Huber, an analyst at Huber Research. "This is what companies should do when the stock has this big of a move. It's financing 101." Huber and others see potential pitfalls for LinkedIn should they attempt to use this $1 billion plus their existing $900 million in cash to execute big deals. "Acquisitions could actually slow down LinkedIn's growth," said Huber. "There's integration risk, and media and internet companies are notorious for overpaying." And additional shares will dilute the value of existing shares. The stock sank 3% Wednesday, following the news of the offering.